The guy who created this contacted me and I had to share. Click the picture for full size. 1. The reissue of “Ill Communication” is imminent. 2. A reissue of “Hello Nasty” is released on the 25th of August. 3. A club show occurs in Chicago on the 6th of August. 5. The music industry is saved. There is nothing quite as American as hot dogs and moustaches. Some of you might say this time of year, what about baseball? To which I say baseball is boring, especially in portland with no Major League team. Any ways back to the point. I am quite a fan of hot dogs. The problem is I do not have much of a broad experience with them. I relish (see what I did there?) my monthly visits to Costco for the amazing buck fifty dog and soda. It is extra good when I remember to grab a thing of Saurkraut from the counter. Other than that I am pretty much limited to sporting events and family BBQs. So by now you are probably thinking if he has no experience why is he talking about this? Well to point you in the right direction. 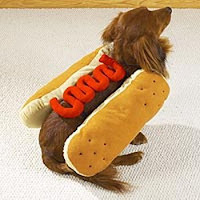 Mr. Bryan Free has a little blog aptly named Hotdog is my co pilot. He doesn’t only write about hot dogs but has started a Weiner in Review series (I decided to not use weiner in my post title for obvious reasons). The rest of his blog is pretty amusing too except one post discussing some IT issue with networks and stuff, a little of topic my friend. So any ways, short story long, hot dogs are american like moustaches, read bryan’s blog, enjoy. I am happy to say that after a long hiatus, yetep.blogspot.com is back in action. It is now aptly named “Half Mooned Blogging” and is written by one of our own, Mike “the Minstrel” Peterson. His latest post is an intriguing picture story of his moustached trip to our nation’s capital. Check it out!